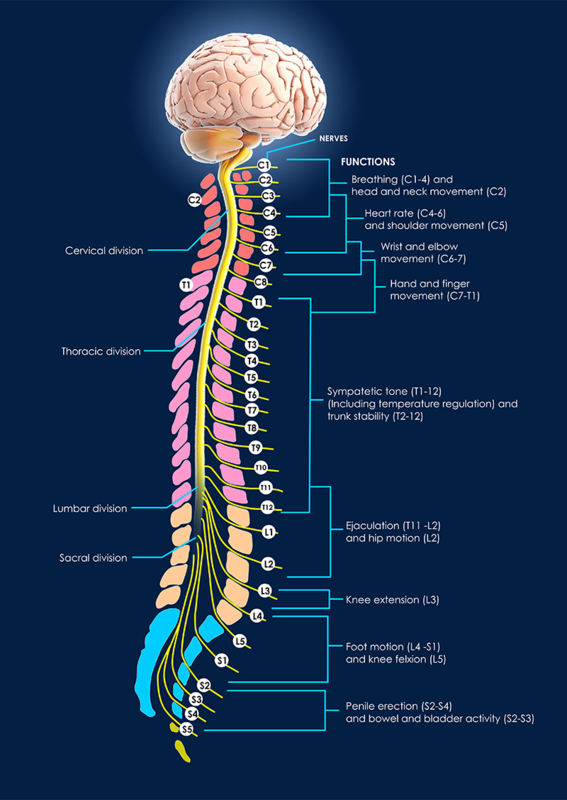 For more information about Spinal Anatomy, click on below tab. For more information about Cervical Spinal Stenosis, click on below tab. 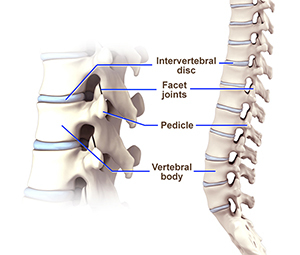 Cervical disc protrusion, commonly known as disc bulge occurs when the spinal discs and associated ligaments are intact, but may form a bulge that will press on the spinal nerves. This condition causes pain in the neck, shoulder and the arms. Usually, the symptoms include a dull, aching, or sharp pain in the neck or the shoulder blades. Sometimes, the pain may radiate along the arms to the hands and fingers. Tingling sensation and numbness may be felt at the fingertips. It generally develops in individuals in age group of 30–50 years as a result of trauma to the cervical spine. For more information about Disc Protrusions, click on below tab. For more information about ACDF, click on below tab. For more information about Cervical Arthroplasty, click on below tab. For more information about Surgery for Cervical Spinal Trauma, click on below tab. For more information about Surgery for Cervical Radiculopathy, click on below tab. For more information about Surgery for Cervical Myelopathy, click on below tab. For more information about Surgery for Cervical Spinal Tumours, click on below tab. For more information about Surgery for Degenerative Disc Disease, click on below tab. For more information about Decompressive Lumbar Laminectomy, click on below tab. For more information about Lumbar Disc Disease, click on below tab. Lumbar stenosis is the compression of spinal nerves caused by narrowing of spinal canal and it is one of the common causes of low back pain. Spinal stenosis can also affect the spine in neck region. The symptoms include back pain, burning or aching type of pain in buttocks that radiates to the legs (sciatica), weakness in the legs or “foot drop”. One of the causes for spinal stenosis is the ageing and other causes include Paget’s disease, achondroplasia, spinal tumours and spinal injuries. As age advances the chances of developing osteoarthritis, disc degeneration and thickening of ligaments may increase and these conditions cause spinal stenosis. 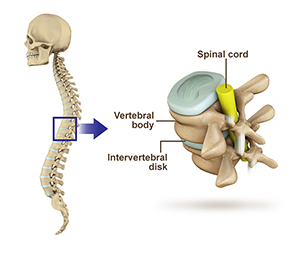 For more information about Spondylolisthesis, click on below tab. For more information about Lumbar Decompression and Pedicle Screw, click on below tab. For more information about Lumbar Laminectomy for Discectomy, click on below tab. For more information about Lumbar Microdiscectomy, click on below tab. For more information about Lumbar Microdiscectomy and Rhizolysis, click on below tab. For more information about Minimally Invasive Decompression, click on below tab. For more information about Minimally Invasive Lumbar Discectomy, click on below tab. For more information about PLIF / TLIF, click on below tab. For more information about Surgery for Thoracic and Lumbar Spinal Trauma, click on below tab. For more information about Surgery for Lumbar Radiculopathy / sciatica, click on below tab. For more information about Surgery for Lower Back Pain as for Pain in the Thoracic Spine, click on below tab. For more information about Surgery for Thoracic or Lumbar Spinal Stenosis, click on below tab. For more information about Surgery for Thoracic and Lumbar Spinal Tumours, click on below tab. For more information about Surgery to Improve Sagittal Balance and Posture, click on below tab. For more information about Posterior Lumbar Interbody Fusion (PLIF), click on below tab. For more information about Direct lateral Interbody Fusion (DLIF), click on below tab. For more information about Surgery for Spondylolysis, click on below tab. Spondylolisthesis is a condition of the spine characterized by the forward displacement of a vertebra over an underlying vertebra. A significant displacement can cause a compression of the spinal nerves resulting in pain. The two most common types of spondylolisthesis include dysplastic spondylolisthesis and isthmic Spondylolisthesis. For more information about Surgery for Spondylolisthesis, click on below tab.